I’ve always wanted to travel and write, and to some extent, that dream has come true, but ever since I became a mum, my life has, for obvious reasons, changed. I didn’t stop traveling, but I slowed down and kind of settled, because I wanted my kids to feel they have solid roots and I wanted to create a routine and habits that didn’t have to change because of traveling. So whenever I have to travel for work I usually leave my kids at home with their daddy, who also works and travels often. Most times we will fly one of my Bulgarian aunts or my mum to Switzerland so they can help and look to after the children. The thing is that my mum also works and sometimes it is difficult to find a solution. Why am I telling you this? Because most of the mums I know here in Switzerland don’t have family around either and just like me, they struggle when they have to travel and leave the kids at home. We are often ridden with guilt for missing out on family time and our children’s progress. As a working mum I can’t even give myself permission to take a holiday on my own because I feel I am already away from home long enough. “So what is the solution?”, I wondered? 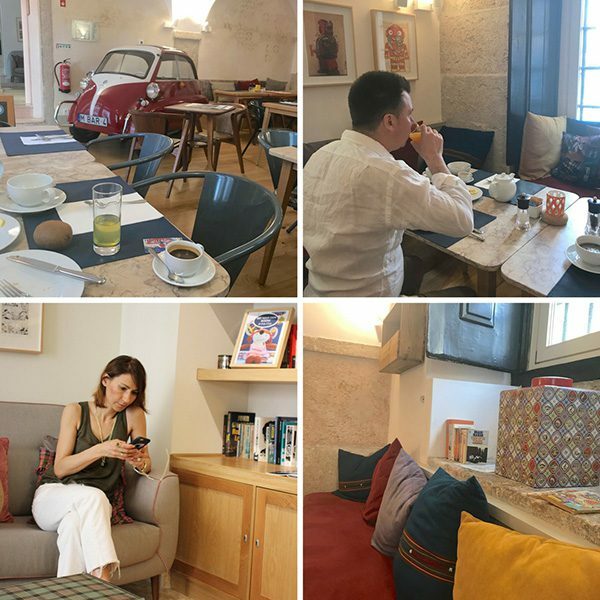 It came to me a year ago when I was contacted by the owners of a small premium chain of hotels in Portugal who invited me to visit their family hotel in Chiado, a shopping area right in the heart of Lisbon. I won’t lie to you, I have never been a big fan of family hotels. They seem too messy and noisy and I usually end up more sleep-deprived and exhausted than I was before the holiday. When the Martinhal owners wrote to me I was impressed by the founder’s story; she is a mother of four, an expat who married a Swiss husband, and built a business while raising her kids. Only a few years older than me Chitra Stern started the hotels eight year ago because she found it difficult to travel with kids, find time for herself and her husband during family holidays and at the same time quench her thirst and curiosity for other cultures, food and crafts. I admit this is where I immediately connected with Chitra even without knowing her. Secondly were the pictures I saw of the Martinhal Family Hotels & Resorts in Cascais and Sagres. 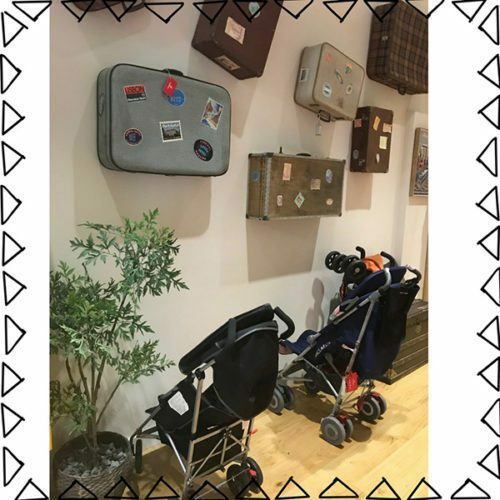 These places looked both kid- and parent-friendly, comfortable and relaxed, but also elegant and stylish with innovative and inspired playgrounds, a baby concierge and a kids club service, while parents could spend some quality couple time at the SPA or out on a date. My curious self was turned on and when my family arrived at Lisbon Airport a shuttle is waiting for us, which after a three-hour flight with the kids feels like a real treat. The Martinhal hotel in Lisbon is situated on one of the narrow colourful streets of Chiado Lisboa and our apartment has a little view of the ocean. When you enter the hotel on one side you see a line of strollers provided by the hotel for the little guests, and on the other, an elegant reading corner with books and newspapers, all decorated with vintage patterned suitcases and handmade cushions. The first thing I can’t help but notice is that for a family hotel this place is pretty quiet. The room is fully equipped and has a washing machine, a dishwasher, baby toilet seats, kid’s step in the bathroom, baby feeding chair, fridge, oven and a microwave. There is a coffee machine too. Not that I care about the TV, but my husband is excited he gets that too. The floor is covered with softwood and traditionally woven rugs. The paintings on the walls are by local artists. Excitement finally starts to creep in. 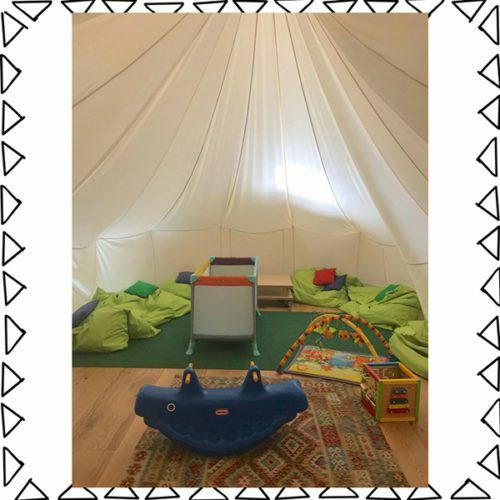 I go downstairs to learn more about the kids’ programme and once again I am surprised to see a creative and imaginative play area with all kinds of wooden toys, a big tent with soft toys, a popcorn machine, a climbing wall and an elegant cinema corner with a snug space for pyjama parties. The programme is for different age groups and every day there are different kinds of activities: chefs, pirates and farmers days, crafts workshops…. The kids literally love spending time at this place, open from 9.30am and even in the evening until 10 pm, while the parents are out on a date. On the other side of the hotel lobby is the restaurant. There’s a mini red BMW which the kids love to climb on and “drive”. There’s a little open kitchen for pancakes, omelettes and homemade biscuits. It is right where the kids’ restaurant is. The place is decorated with books, paintings and the traditional Azulejo tiles. You can feel the care and the attention to every little detail that this place has been decorated with. Tasteful and artistic with an added sense of local culture and tradition. Nothing is too much or too little. The rest of the day goes in complete harmony with the experience of our contemporary home. I am out on a shopping research trip in preparation for the upcoming Mums in Heels Fashion Insider’s Shopping Tour. I am meeting with several owners of local boutiques selling and promoting Portuguese designers and their work, handmade accessories and clothing. I stop by for a refreshing acai bowl with banana pieces that tastes like ice-cream. Later I am meeting my husband to have a glass of white wine and a plate of cheeses at Mercado. For dinner, we discover a great fish restaurant called SEA ME with a selection of freshly caught Portuguese oysters and delicious boca negra fish. A little treat from the restaurant is offered – a shot of Basil Ginger Gin Fizz. The service is genuine and the bartender who also takes care of our dinner entertains with ease and a genuine sense of humour. Finally, we get back home tired but happy and inspired. The next day we have fresh papaya and mango for breakfast with soya milk, homemade granola and chia seeds. Then we are taken to Martinhal Cascais, just 30 minutes drive away. The hotel car has seats for the kids and even this short traveling experience feels like first class. Read more about our experience at Martinhal Cascais in the next blog post. By the Wine is a tasting room that feels and looks like a traditional wine cellar. You can try a variety of specialties from the many regions of Portugal and Spain. Try Presunto Iberico and other cold meats from Guijuelo on fresh Algarvian bread (that is strictly recommended by my husband). Many local kinds of cheese are available, including the popular Azeitão variety. Oysters from the Sado estuary accompany other delicacies from the sea like salmon ceviche and mussel salad. 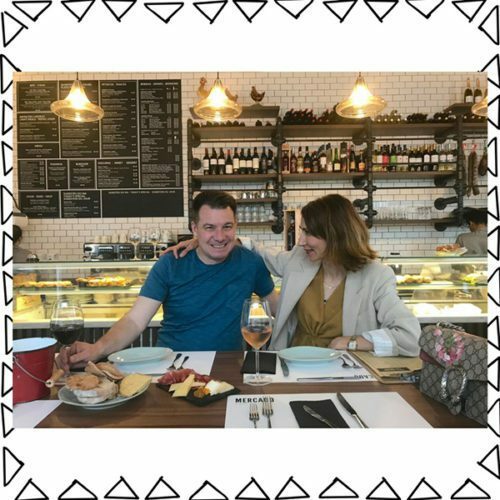 Hot Chocolate – if you are a hot chocolate expert like my son, you have to check this family Pastesaria with the name Batalha. The hot chocolate here has nothing to do with the powdered cacao and sugar dissolved in warm milk you are served at most restaurants. This is real, melting dark hot chocolate. It is to die for. Landeau Chocolate, “chocolate cake from heaven”. The NY Times called this chocolate cake “devilishly good” so… forget about heaven, because it seems like, around here, we’re living in sin.